#1 in steel enclosure to protect it from the elements while awaiting restoration, April 26, 2013. #1 at North Freedom, April 28, 2001. 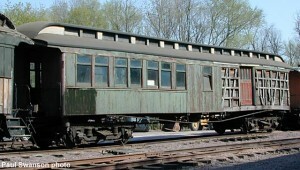 LS&I #1 was built by Pullman Palace Car Co. in 1898 as a combination baggage-coach for the Upper Michigan railroad. It served in passenger service some thirty years, being renumbered to #15 sometime along the way. About 1930, it was transferred to the B&B (Bridges & Buildings) Dept. 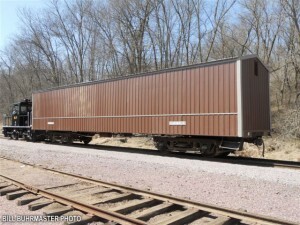 of the railroad, renumbered again to #XB-15, and used as a paint car to store materials (the car would be taken out on the line with a paint gang that would paint structures such as depots). Since the 1950s, the car had sat at the LS&I’s Marquette, Michigan yard, used for storage. In 1969, the railroad wished to dispose of it, and old #XB-15 was sold to Mid-Continent. 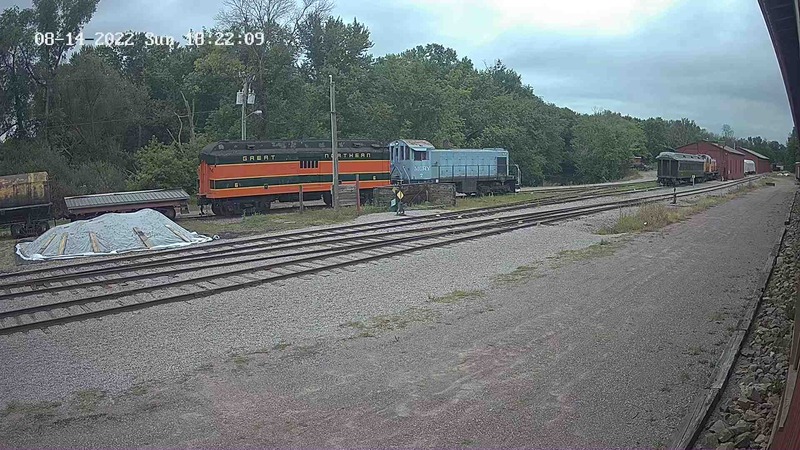 It was loaded onto Soo Line flatcars and shipped to North Freedom where it was back on its own wheels by that November. The car’s fragile state led to it being stored inside the Car Shop in more recent years. However, with Car Shop floorspace needed for other projects, LS&I #1 became the subject of an experiment in preservation techniques at Mid-Continent in 2013. Rather than rely on a tarp to protect the car during it’s time of outdoor storage, a temporary enclosure of donated steel siding and roofing was affixed directly to the car body, giving the apperance of a shed on wheels. With this added protection, the car should weather its period of outdoor storage well while awaiting funding for its eventual restoration. The LS&I Railway Company was formed in 1892 and completed a line from Presque Isle, Michigan (just north of Marquette) to Ishpeming in 1896. One year later, a wooden ore dock was opened in Presque Isle harbor to load iron ore into great lakes ships. 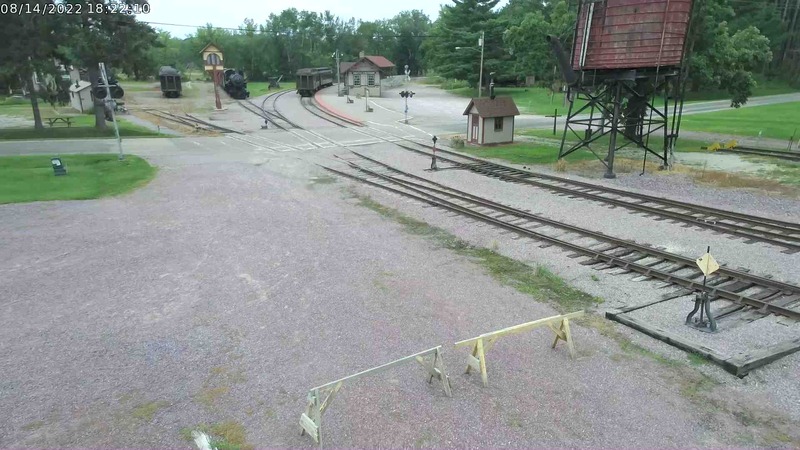 In 1923, a neighboring railroad, the Munising Marquette and Southeastern, was merged into LS&I for a total 173 miles trackage. 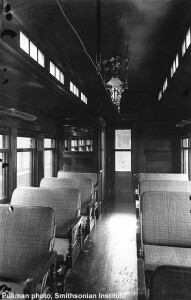 Passenger service ended in 1929. The core route of the LS&I still is in use today, hauling iron ore pellets from the Empire Mine to the ore dock at Presque Isle harbor.